Vintage 1960s Color Slide of Jochen Rindt. 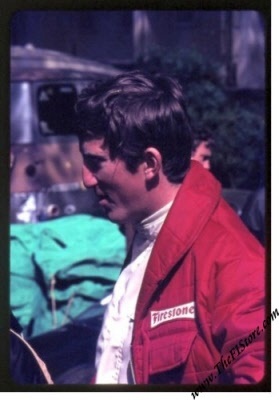 Vintage late 1960's, possibly very early 1970's color slide of Jochen Rindt. Unfortunately it is unknown where the photo was taken but judging by the backdrop, this could very well be at the Autodromo di Monza in Italy.